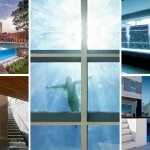 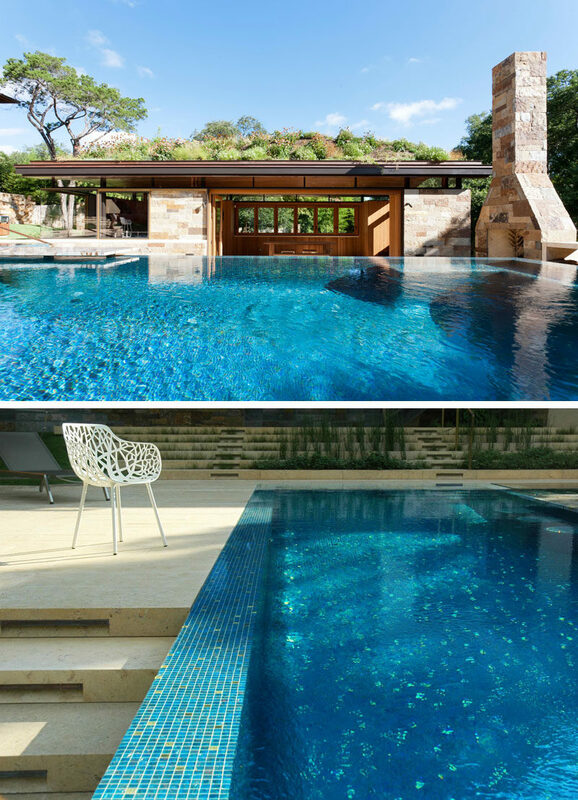 The infinity edge swimming pool is surrounded by a deck with plenty of space for entertaining and relaxing in the sun. 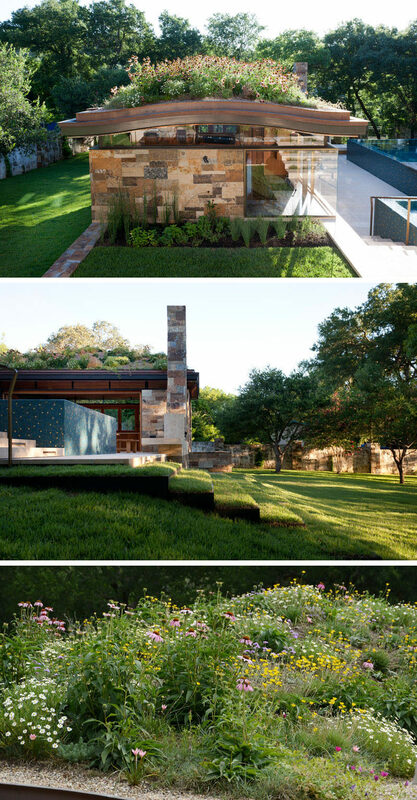 When designing the pool house, the architects mention that “impervious cover and storm water run-off regulations within the city are very restrictive.” To work within the guidelines of the city, a green roof was installed on the pool house. 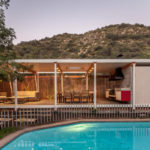 The pool house is home to an indoor-outdoor dining area complete with a high-end residential kitchen, while outside, there’s a fireplace for cool nights. 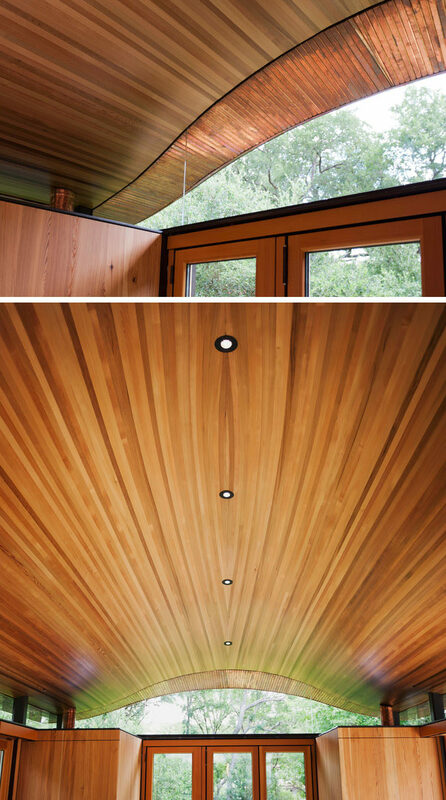 The curve of the green roof is also reflected in the interior of the pool house, with a wood boat-like vaulted ceiling form that echoes the surrounding canyon hills. 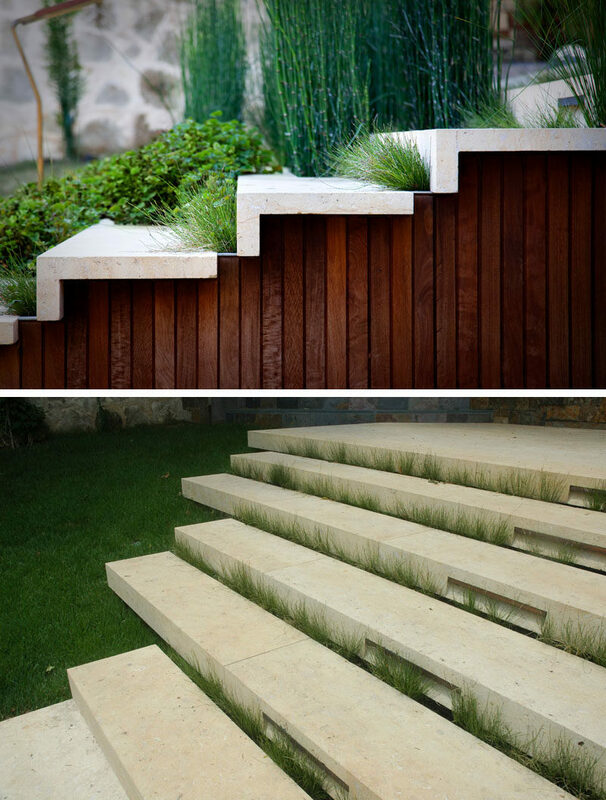 As the pool house is on a slight slope, a suspended permeable stone terrace system was used.